In this episode of the View 902 podcast, Paul Kimball is joined by his good friend and fellow director Dillon Garland for a discussion about the state of independent filmmaking in Nova Scotia, particularly for a young filmmaker like Dillon, as well as his first feature film Afraid to Speak, which debuted this past fall at the Parrsboro Film Festival after being snubbed by the Atlantic Film Festival (which they discuss). Along the way, Dillon talks about his upbringing in the Shelburne region, what inspired him to get into filmmaking in the first place, and where he wants to go from here. Paul and Dillon also get into an in-depth conversation about what it’s like working with actors, and how trust between actors and a director is fundamental to being a successful filmmaker. Finally, they manage to find time to chat about pro wrestling, telepathic space otters, and their experiences at the old Shelburne Sound Stage. 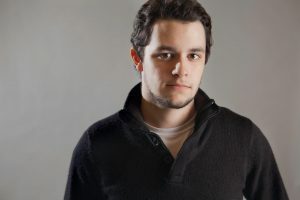 Dillon Garland is an award-winning filmmaker based in Halifax, Nova Scotia. Originally from Barrington, Nova Scotia. Dillon graduated from the Centre for Arts and Technology in 2012 with a Diploma in Digital Filmmaking. He has since directed over thirty music videos, for artists including The Stanfields, The Town Heroes, Like A Motorcycle, Jon Mullane, and Gloryhound. He has won two East Coast Music Awards, two Hollywood Music in Media Awards, an IMEA Music Award, a Los Angeles Music Award, and a Music Nova Scotia Award. His short films include St. Rick, Last Day of Fall, and Ageless, which won the Best Short Film Award at the 2013 CAT Film Festival. He produced, wrote and directed the web series Leon, has worked on the television series Big Brother Canada, Amazing Race Canada, and The Bachelor Canada, and served as the Assistant Director on the feature films Roundabout and Exit Thread. In 2016 Dillon’s first feature film, Afraid to Speak, debuted at the Parrsboro Film Festival.